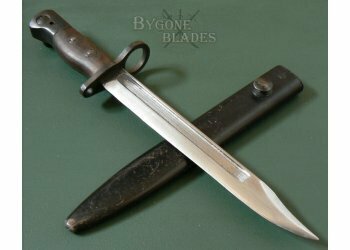 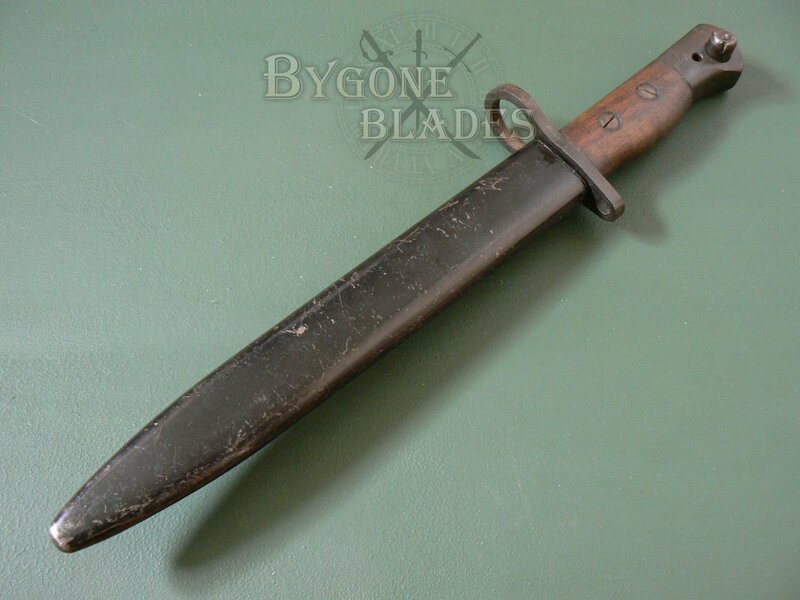 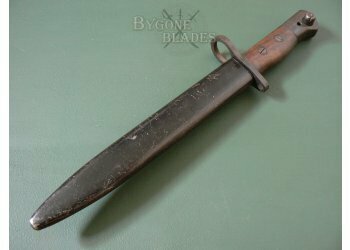 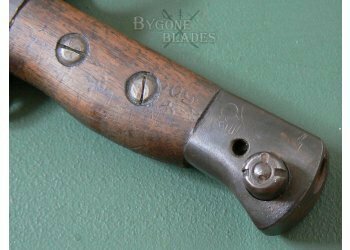 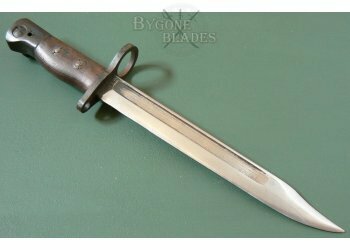 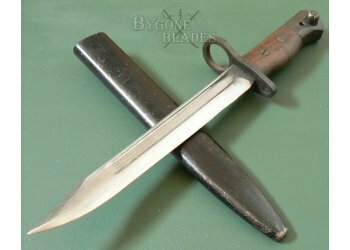 Production of the No.5 bayonet began in March 1944, and finished in December 1947. 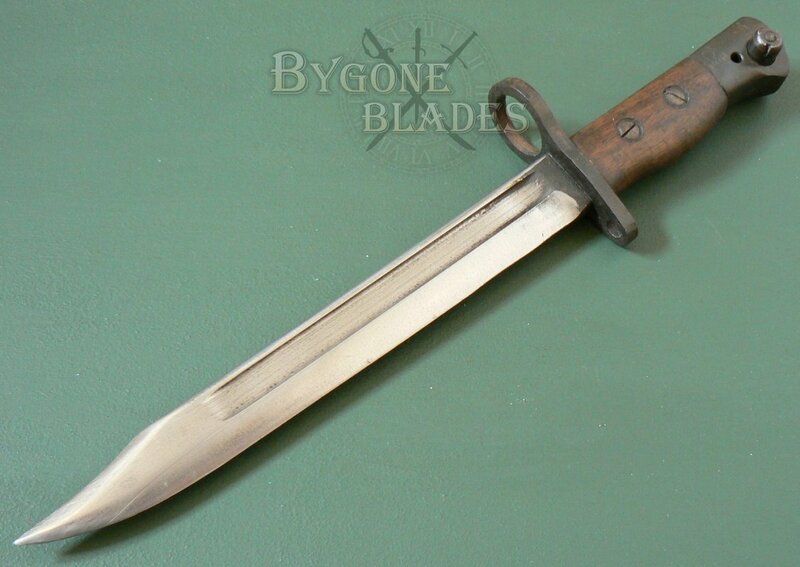 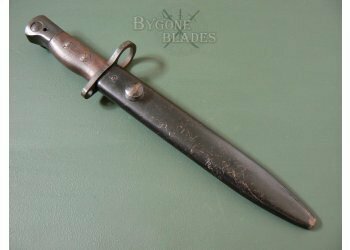 This bayonet is one of only 75,000 made by Radcliffe. 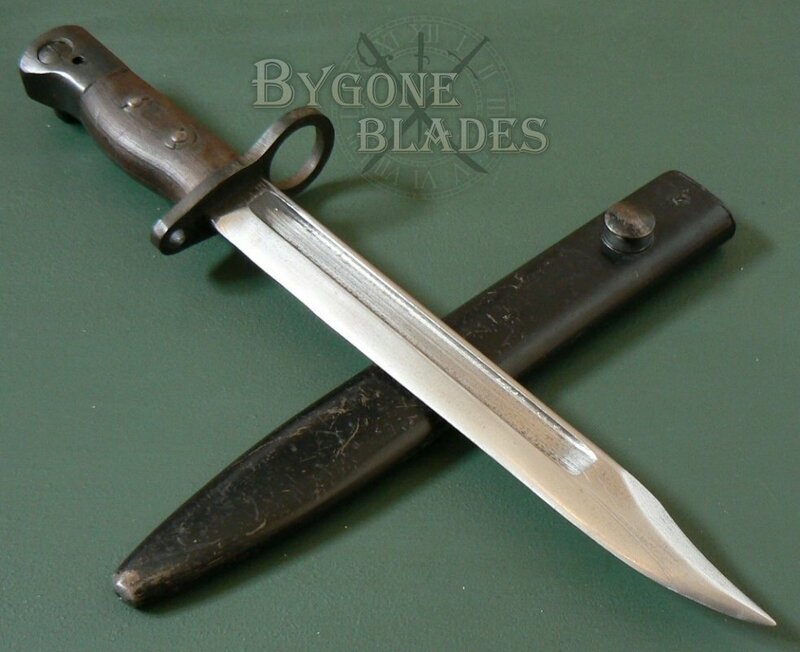 The 203mm clip-point Bowie blade has a single edge and long single fuller below the rounded spine. 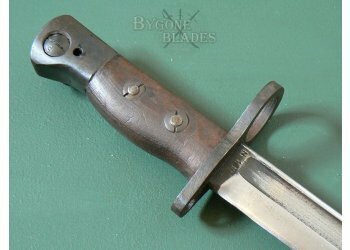 The blade is in good condition and has been service sharpened. 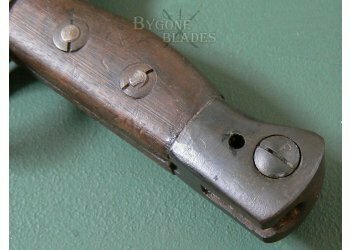 The blade has scratches and minor marks consistent with use. The ricasso retains some of its original blueing and is stamped with Radcliffe’s wartime dispersal code, “N187.” The obverse ricasso bears a circular punch mark. 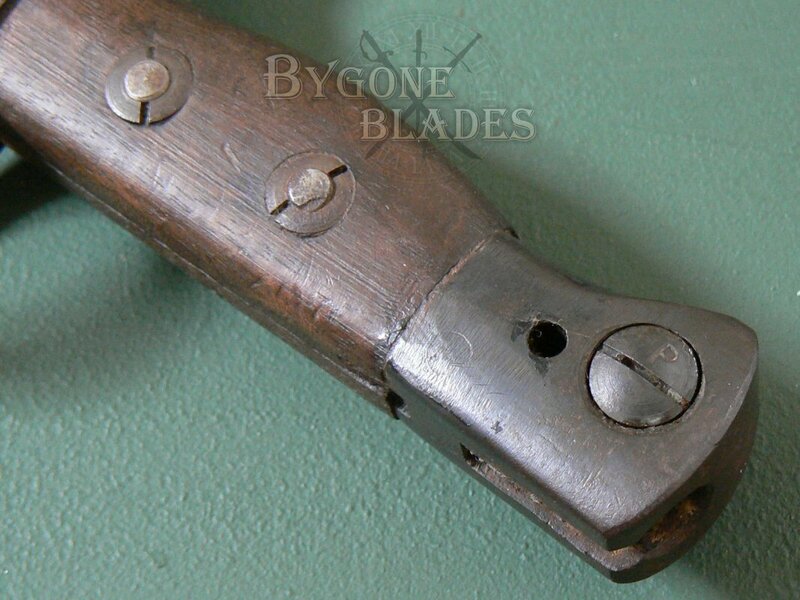 The wrap around wooden grips are in good condition and are held tightly in place by two screws, one of which bears a Broad Arrow stamp. 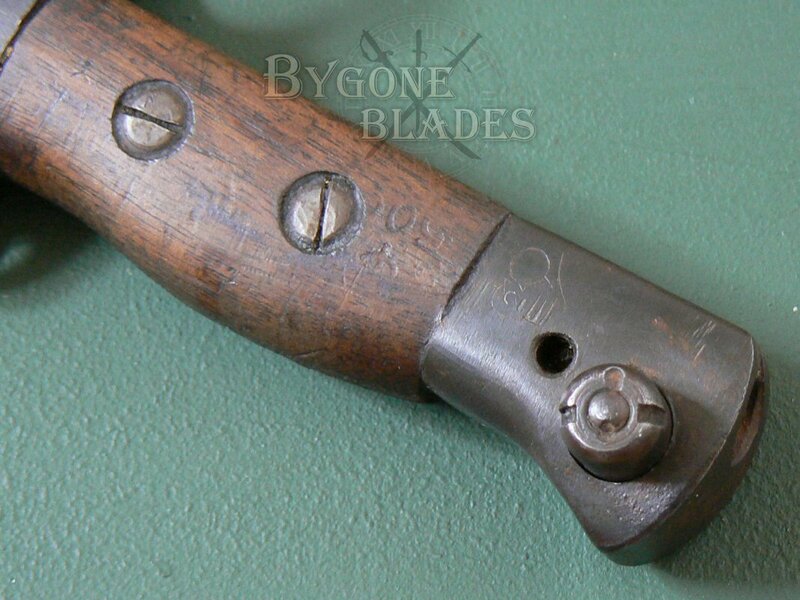 The grips show minor use marks and are stamped with the War Department Broad Arrow mark and the number 500. The bayonet is complete with its original, early issue Mk1 scabbard (later scabbards had brass throats). 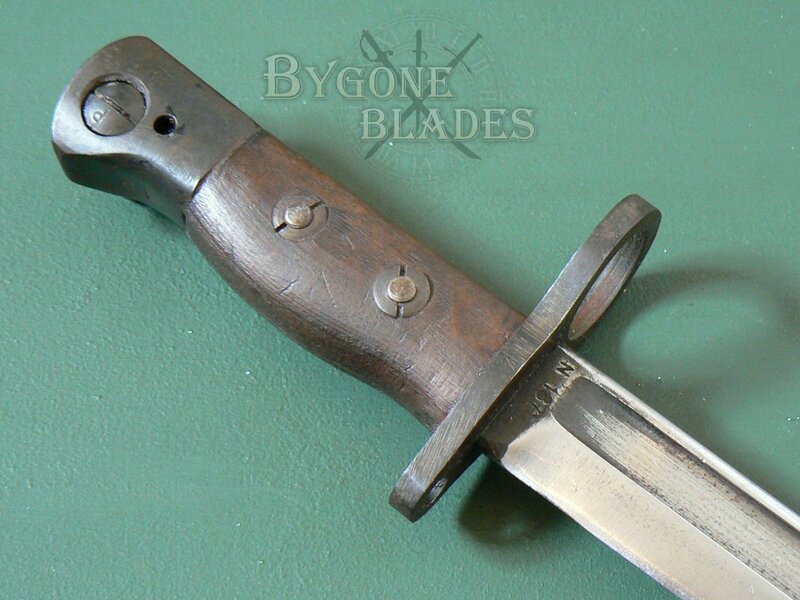 The frog stud of the scabbard bears the War Department Broad Arrow stamp. The scabbard retains its original black finish. 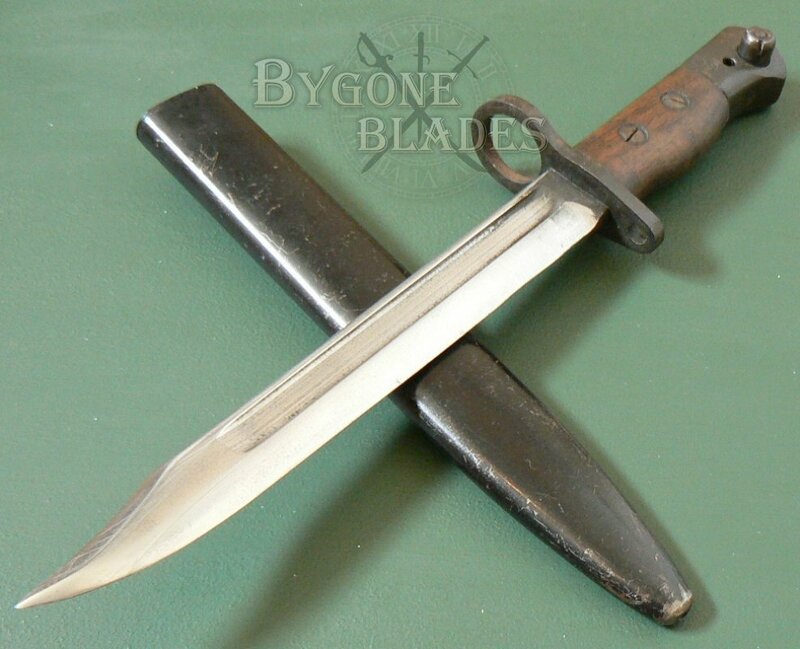 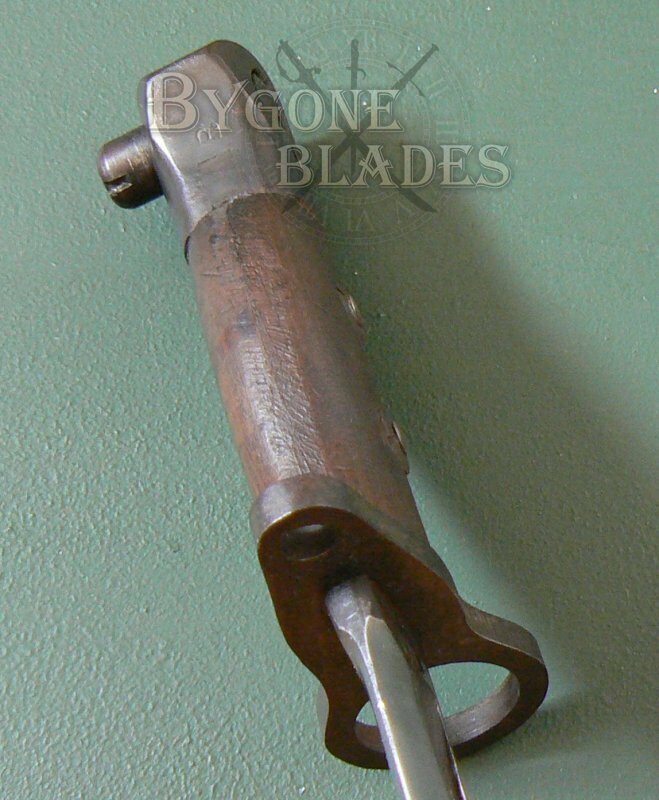 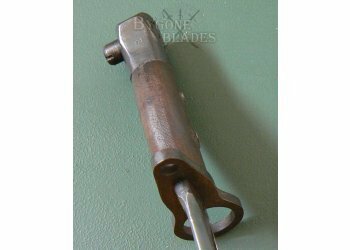 This is a clean and honest example of a rare British bayonet.